This book maps out a new paradigm of teacher education and, by implication, professional education generally. The book opens with two alternative theories of teacher education and training and explains the concepts and assumptions on which they rest including beliefs about the nature and role of education in society. It then proposes a ‘natural science’ paradigm and its implications for establishing a coherent view of teacher education. Subsequent chapters indicate the professional implications of such a model. Synopses of Chapters. Introduction John Elliott. Part 1 Coherence and Continuity in Teacher Education: Perspectives and Issues. 1. 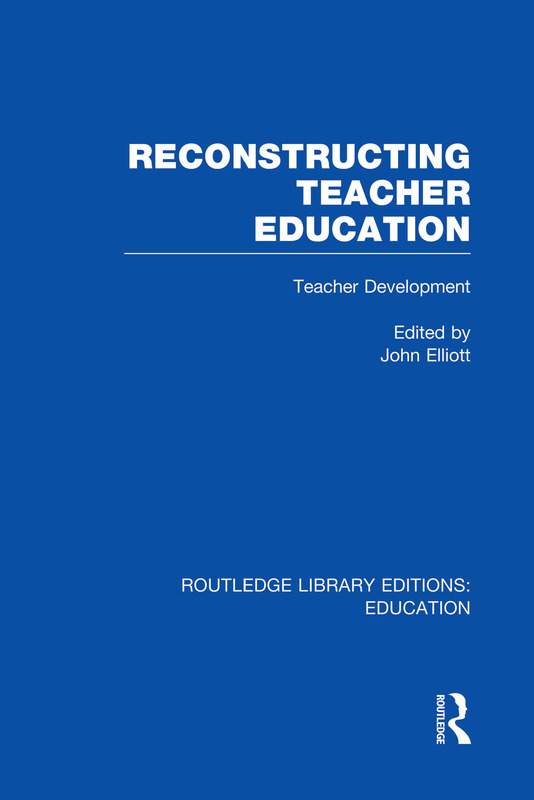 Three Perspectives on Coherence and Continuity in Teacher Education John Elliott 2. The Assault on Rationalism and the Emergence of the Social Market Perspectives John Elliott. 3. Evaluation, Economics and Performance Indicators Nigel Morris. 4. One in a Million? The Individual at the Centre of Quality Control Saville Kushner. 5. Are Performance Indicators Educational Quality Indicators? John Elliott. 6. Professional Education and the Idea of a Practical Educational Science John Elliott. 7. A Common-sense Model of the Professional Development of Teachers David H Hargreaves. Part 2: School Based Teacher Education: Four Studies of Innovation 8. A Case Study of School-based Training Systems in New Zealand Secondary School R G Munro. 9. Capital T Teaching Les Tickle. 10. The Development of Teachers’ Thinking and Practice: Does Choice Lead to Empowerment? Christopher Day 11. Chronicles: Doing Action Research: The Stories of Three Teachers Richard Davies. Part 3: Researchers and Teachers: Changing Roles and Relationships 12. Through the Looking Glass: The Use of Associative Methods to Enhance Teacher Thinking Michael Schratz. 13. Academic and Action-Research: The Training Workshop as an Exercise in Ideological Deconstruction John Elliott. 14. The Relationship Between ‘Understanding’ and ‘Developing’ Teachers’ Thinking. John Elliott. Part 4: Portraying Teachers’ Development 15. The Development of Primary School Teachers’ Thinking about the Teaching and Learning of Science Peter Ovens. 16. Thinking and Being in Teacher Action Research Marion Dadds. 17. The Importance of an Articulated Personal Theory of Professional Development Christine O’Hanlon. Notes on Contributors. Index.